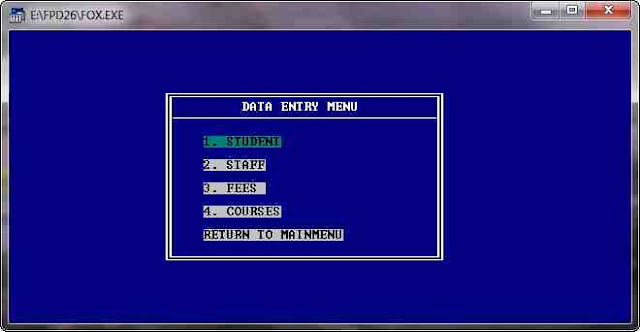 Creating menu in Foxpro for DOS | Live to Learn! 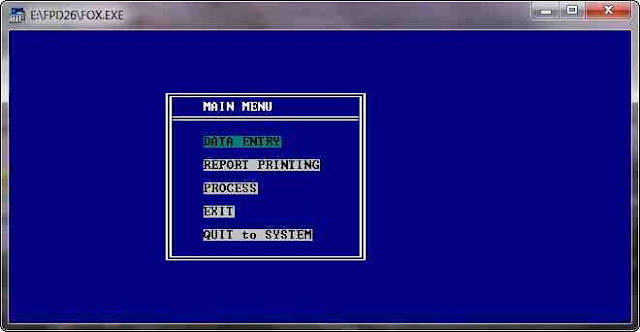 @ 9,25 prompt "DATA ENTRY"
@17,25 prompt "QUIT to SYSTEM"
@6,30 say "DATA ENTRY MENU"
@ 9,25 prompt "1. STUDENT"
@13,25 prompt "3. FEES "
@17,25 prompt "RETURN TO MAINMENU"
@ 9,25 prompt "Report 1"